4 Epic Days of MaiTai Action: The Good, the Biz and the Play! way. This community is doing what they're passionate about; they're authentic, engaging and positively addictive in the best sense of the word. 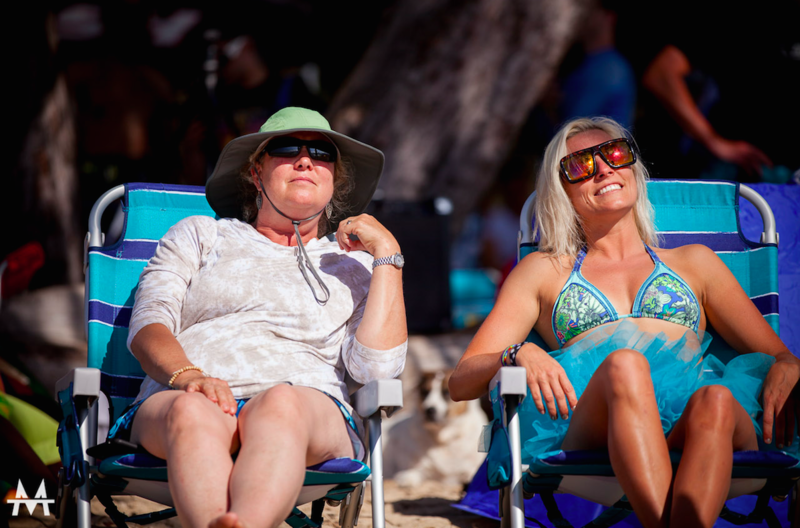 Pro-athlete, kiteboarding champion, Susi Mai, calls herself MaiTai's "User Interface" and avid kiteboarder, mastermind VC, Bill Tai, its "Microprocessor". Together they form the perfectly poised Ying and Yang MaiTai co-founding duo with a visionary catalyzing effect. She described how their serendipitous partnership started as "a one-line email from Bill about the spelling of their surnames." The MaiTai cocktail of ocean defenders, philanthropists (the good), VC's, angel investors, entrepreneurs, startups (the biz), and extreme sport enthusiasts united by a passion for kiting (the play), was created and is fast making waves as a newbie nonprofit. It's evolved from a small group of kite-boarders a decade ago, into an amazing multi-tier space, the collective potential of this community branching out based on their track record is astonishing. "We want to become a common thread, our general theme is to help everyone," says Susi, who I was thrilled to finally meet for brunch in San Francisco earlier this spring. Subsequently, I had the great privilege of joining the largest MaiTai expedition in Maui for a week of phenomenal living amidst extraordinary MaiTaiers in action from May 11-15. Susi's dazzling presence, physical and mental lightning speed brilliance all combine with a warmth that's reminiscent of her barefoot in the sand childhood in her beloved Cabarete, Dominican Republic place (her parents moved there from Germany to windsurf). Much to her dad's initial skepticism, his daughter and only child pursued kiting. And much to her surprise, she almost beat the world champion to take second place, in 2002, merely nine months after her first attempt, merely seventeen years old - that's the kind of girl Susi is. "My passion comes from the sport kite-boarding and it's prepared me to do other things. You can't be a quitter, kiting will strip you of everything." 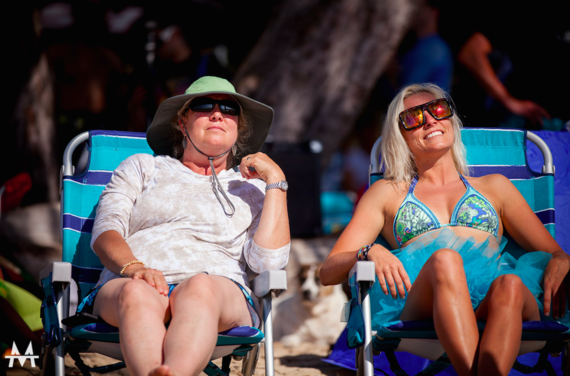 Top 3 things Susi loves about kiteboarding! FREEDOM: first time I made it, I had removed myself from problems, it's free and peaceful! ADRENALIN: when you take off and jump, pretty cool natural drug trip, can get super high up in the sky. There are so many different ways - always riding a kite. COMMUNITY: aspect of kiteboarding, it's a pretty co-dependent sport, not a team sport but you need friends to help launch a kite, you need someone to help when you land. Susi's advice, "is to follow your heart and you won't have any regrets. It's the main thing I took away from my granddad - he said don't ever have regrets". Freedom defines Susi and her vision for the future is closely linked to this in a comment about "children not playing in the concrete." She says, "just go for it!" Susi took charge in 2012, when MaiTai got bigger and became president eighteen months ago. She's busy sprinkling MaiTai magic across the globe, with incubators that nurture startups to 'hit it' as Bill says (translates to reaching full potential). The first one in San Francisco is already doing just that and is a dream workspace. Susi showed me around and presented a startup on its way to mega-success pointing out, "Bill likes to invest in people" and "keeping good people around us." And talking about the world's largest start up competition that was launched last year, "Extreme Tech Challenge is leaning towards companies that are mindful." "To Bill Tai, who opened my eyes to a whole new world I was missing..."
In an earlier story, Bill Tai had expressed his wish for the environment, "I'd like to marshal the energy to really do good." Susi added, "we realized we can channel power to do something good and protect places. I want my kids to be able to kite, and my grandkids. Basically, go kite and fix a problem in a remote place. Sir Richard Branson pointed out the message of shark conservation is being delivered by surfers, who are at the greatest risk. MaiTai expeditions are about finding very unique experiences and funding the nonprofit mission attached to each place. For example, in places like Lake Tanganyika that spreads across 4 countries in Africa and another is a Sand Dune desert in Brazil. I'm really interested in educating children." In her winged user interface flash way Susi wants to launch "4 MaiTai expeditions a year by 2016." Growing MaiTaiGlobal's reach to Music (in September), Partnering with Girls in Tech for a Women's MaiTai (in October), the Ocean Elders joint gala (in November), and another Extreme Tech Challenge (XTC - the world's largest startup competition in 2016), after its stellar debut last year. I really wanted to have an immersive MaiTai in Maui experience, not only for the action, but also to meet Gigi Brisson, founder and CEO of eminent OceanElders in person. I couldn't have hoped for more, being at this special MaiTai 10-year-anniversary (before it was even called that) surpassed any expectations! 4 epic days of MaiTai Maui action! Day 1: Ocean theme welcome dinner. Seeing Gigi Brisson in the marquis filled with every shade and style of crazy blue attire, for the first time, she welcomed me in a stoic yet beaming demeanour, very proud to have Ocean Elder, Nainoa Thompson there to talk about the Hokulea Polynesian Voyaging Society mission he spearheads. 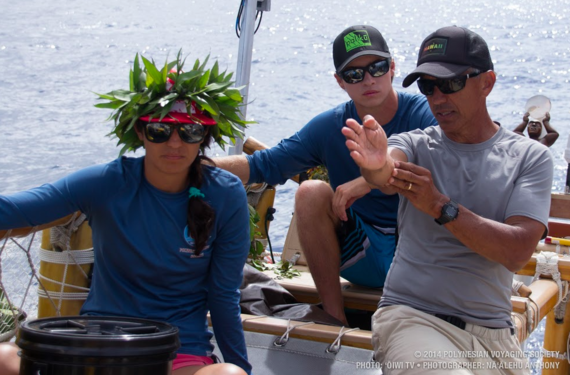 Nainoa, whose core passion is to keep learning and pass on Hawaiian heritage, navigating the hokulea (double-hulled-voyaging canoe) on a voyage around the world (track the voyage), is beyond humble. Only two days before heading off to receive the prestigious high-profile ocean and coastline honored Benchley Ocean Award, we were lucky to see him talk, in the presence of the mayor and 150 MaiTaiers, not about himself, but mostly about his first voyage that re-launched the hokulea in 1978, and his reverence for legendary surfing, life-saver hero, Eddie Aikau (deeply loved and immortalized with his own star group that's used to navigate the Pacific, and the inspiration for prestigious invite only Quicksilver Big Wave surfing competition, named 'the Eddie' after him), who was taken from the ocean trying to save the crew on board that initial voyage. 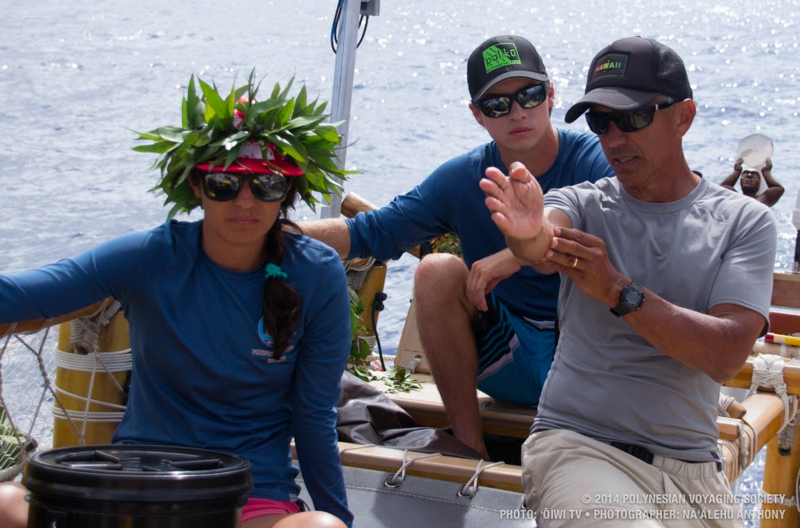 Since that tragic loss, the hokulea is sailing again thanks to Nainoa, who's passing on the wisdom of the importance of ocean conservation. There's now a new generation of navigators, linking wisdom to technology on their worldwide voyage. Day 2: Twin Falls, Newbies Game, Tutu Tuesday kiting, Art Project. The next day we all hiked to twin falls for a unique product launch of a new safe, lightweight portable drone that challenges anything on the market, it was tutu Tuesday, this MaiTai newbie was in for a treat! What Susi cares about the most, "is the ocean." She is not alone. It became Gigi Brisson's passion after joining over 100 scientists, business leaders, philanthropists and entertainment icons on the Mission Blue Voyage with TED prize winner, Dr Sylvia Earle, to the Galapagos islands in 2010. "Why wasn't I reading about it?" was the question that sparked her to create, fund, develop the plan, and model of the prolific Ocean Elders. She sought out global leaders who had a personal passion for the ocean and its wildlife. Ocean Elders welcomed Dr. Earle as its first Ocean Elder in June 2010 and those that have joined since include H.S.H. Prince Albert II of Monaco, Sir Richard Branson, Jackson Browne, Dr. Rita Colwell, Jean-Michel Cousteau, Graeme Kelleher, Sven Lindblad, Her Majesty Queen Noor, Nainoa Thompson, Ted Turner, Captain Don Walsh, Neil Young, and most recently James Cameron. Seeing first hand her deep and genuine interest in the ocean and its inhabitants, it was the perfect place to talk in more depth about Ocean Elders, at the beach watching the kiters at play! She started sharing her concern as someone who grew up on the East Coast and cared deeply. "We are all connected to the ocean. What caused the sea to change?" Her questions were answered after her Galapagos voyage and she could see "that a lot of people are not working together. The nonprofit space competes for money and awareness". "I was aware of elders giving a voice to humans, to ones that didn't have a voice. When you think of elders, you think of wisdom and Ocean Elders was the perfect name". Dr Sylvia Earle embraced the plan Gigi presented to her in Toronto, and others came along. "Truly sincere as a collective - this is the best place that can make a difference." There are two types of elders, she explained, " the artists/musicians and voices that reach outside the choir, like sir Richard Branson, Jackson Browne who connect with the heart and gut and are able to amplify in a way scientists can't." And, "experts help hone focus to get above the noise." #1 To actually have high seas regulation, fully protected with 20% of Ocean non-activity by 2020, from any extraction, a total no-take zone. If we could eliminate destructive fishing practices. #2 To establish a protected area. Areas outside those areas will increase in production by 30%. #3 The elimination of subsidies - it's a lost proposition. It's a lost industry. Supply's been driven so low, it's not a profitable industry, which drives supply-demand balance, Economics 101. #4 Protection of cetaceous, large ocean mammals (whales, sharks, dolphins, tuna and rays) with a 3-mile Blue Halo to allow local population, only for consumption. No reason you couldn't do that. The forecast is "fishing stocks will recover when man learns to respect the ocean and recognize the perfect eco-system." Apex predators (e.g. jaguar, lion) maintain the health of their eco-system and can't be wiped out, or be eaten - that would destroy the top of the food chain. Similarly, we should not eat carnivours like tuna. "We should be eating bottom of the food chain (e.g. sardines). Some things need to change. We need to expand our footprint to India / China / Countries in South America / Africa. A lot of work with U.N, Jose Maria (former president of Costa Rica), Australia's former environment minister, Tony Burke", have been paramount. Gigi shared stories about other Ocean Elders like Jackson Browne, "if he had only one wish it would be man could respect and love nature", and the song he wrote on Galapagos, 'If you could be anywhere'. And film-maker, deep sea explorer, James Cameron, who went on board Deep Sea Challenge with Don Walsh to the bottom of the Mariana Trench, the deepest point of the ocean, measured at 35, 798 feet / 10, 911 metres. That concluded our carefree watching the kite-boarders, launch and fly high in the sky conversation. Gigi mentioned the Global Ocean Commissioner, which I diligently jotted down in my notebook, realizing it took place a few days after our conversation. Here's the Global Ocean Commission report. What an indelible honor and mission! Ending this luminous day, it was time to let loose and dance to legend Burning Man dj, artist, photographer, John Dill's tracks at a local Art Project in Paia! 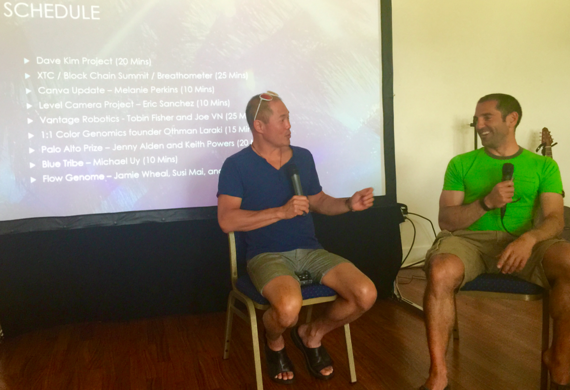 Day 3: Tech Talks, Kiting, Maui Tech Night. Next morning was epic with the future unfolding before my eyes, at the Maui Country Club. 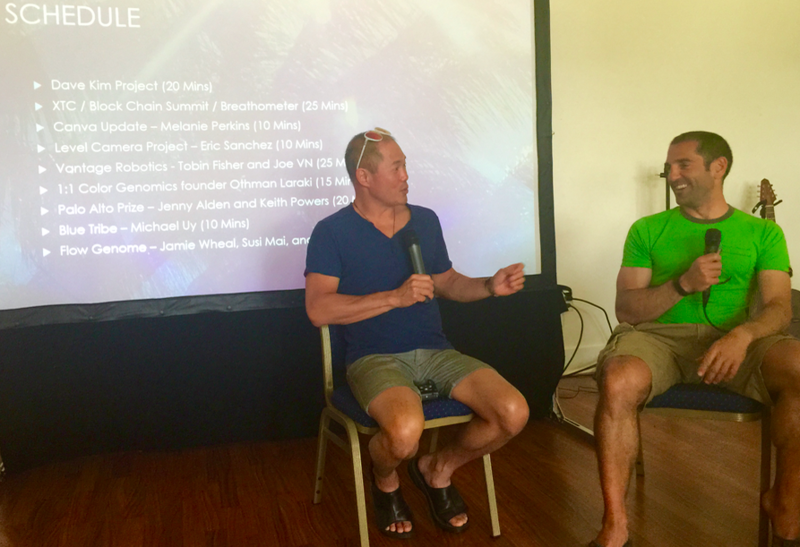 Presenters whose visionary work spans from, new digital currencies, behind the BlockChain summit on Necker island scenes, with its ambassador Bill Tai, to diagnosing breast and ovarian cancer with a simple colour genome saliva test, Othman Laraki, ex-Twitter VP of product, angel investor, founder of Get Color. With more from XTC prizewinner, CEO, Charles Michael Yim of Breathometer (1st portable breathalyzer app that saves lives), and Vantage Robotics CEO, Tobian Fisher's new safer, better drones. This list continues with the wildly zany mission to take a Boeing 747 to Burning Man thanks to Ken Feldman founder of Big Imagination.. And to finish the morning programme, Flow Genome Project co-founder Jamie Wheale, showcasing champion pro-athletes, Aaron Colton (Redbull pro-motorcyclist), Jesse Richman (world record kite flying champion), Ruben Lenten (Redbull's king of the air) and of course Susi Mai (pro-kiteboarder), all ultimate human performers and testimony to flow in action. It was time to go kiting, and it seems I'd found my spot - on the beach watching, the carefree kitesurfers, walk on water on their hydrofoils, or fly high in the sky, albeit a bit more subdued, minus the tutus from the day before, the Ocean Defender theme continued. This time, a mission to heal not just the oceans, but also MND / ALS, unlikely you might think, but why not - anything's possible with this crowd, especially when you connect the right people to the right cause. I spoke to Alex Unsworth, he "loves to find crossings to kite over", sounding quite low-key about it, until I realized what a massive undertaking it was. He took five days to cross from Australia to Papua New Guinea, June 2013, while also raising money for Breast Cancer nurse care. 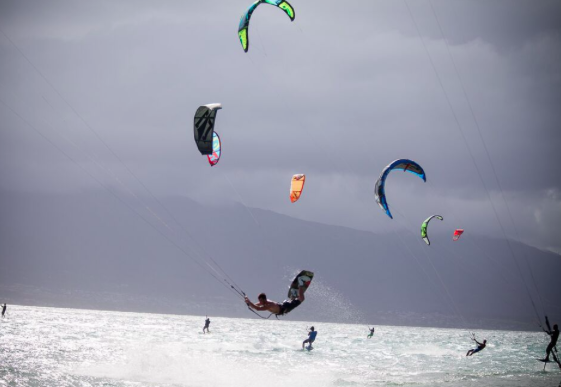 This kiting legend's (and investor) latest mission is, "to get nine kiters to Kite The Reef (i.e. 1000km from Cairns to the northernmost tip of Queensland to Cape York) over unspoilt section of the Great Barrier Reef and create a world record", while helping Dr Nicholas James Cole's groundbreaking research to 'stop MND/ALS'. A stroke of luck on a MaiTai expedition to Necker island, brought them in touch with Bitfury, who helped them get a fancy $50k microscope. One of the early pioneers from Bitcoin had died from MND/ALS and the MaiTai connection helped circumvent a broken research grant system to a faster money pathway. It seems that an abundance of 'good' flows at MaiTai. In San Francisco, only days later, I was able to connect more people in need to help stop MND/ALS. With more good news, Alex confirmed that Greg Norman Junior (avid kiteboarder and golf champion Greg Norman's son), is joining Jess Richman, and Susi Mai to kite the reef this August - the list is growing - watch this space! Alex also explained how he met Canva CEO, Melanie Perkins, "I got to hear about Canva, while teaching Melanie to kitesurf, the culture is incredible. It's about backing people - they have a knack for attracting good people. She'd talk about something then execute and deliver." That's how MaiTaiers blend their passions across the board. What a better way to end the day than to take a page out of the Great Gatsby recreated into a grand tech dinner party on a Maui Tropical Plantation! Signing off another mega MaiTai day with the good, the biz and the play - are you noticing a pattern? Moral of the MaiTai story. All roads lead to Kiting. Day 4: Kiting, Cocktails, Silent Party! So, what did everyone do on the last day? What else, this one was devoted to pure kiting play and some hobnobbing. Down at the beach, the play included chess, where it was only natural to see Woody Harrelson blend in. There was an official closing dinner followed by a silent party to end it all with phenomenal dance and gymnastics performances that took our breath away! #1 Personal Wish: going to space, I want to see the world. #2 MaiTai Wish: continues far beyond, to be a great community of great support. #3 Environment Wish: Save the oceans. If we can magically clean up all the oceans, all other problems could be tackled. At the MaiTai Maui opening ceremony the mayor of Maui, Alan Arakawa revealed, "I have the easiest job in the world," with a smile, "look around you - it's the most beautiful place on earth." And with that I was inspired to explore his beautiful island - soaking the Mana (means 'power and energy' in Hawaiian and 'mother' in Greek) and sharing it with you. Aloha! Happy World Environment Day - a special celebration to all.